Sie befinden sich hier: Startseite » Allgemein » Cambridge and Erlangen – Parallels in urban development? A comparison between Cambridge (UK) and Erlangen (DE) surprises you first hand? Let me show you surprising parallels in the two cities‘ characteristics, challenges and recent dynamics. The number of students living in the two cities during term time encompasses round about 10.000, which is more than a tenth of the population. Both cities acting as economic regional hubs are closely interwoven with the surrounding areas (e.g. Cambridgeshire and Erlangen-Höchststadt). Apart from the universities, Siemens and the Cambridge Silicon Fen provide a huge amount of jobs – directly and indirectly – to the citizens and influence the urban development considerably. The similar challenges faced by two compact cities are e.g. the high demand for building land, high rents as well as land prices. This comes alongside with huge numbers of daily incoming commuters. The universities, start-ups and Siemens, in continuous search for new spaces, move to the edges of the cities. Most interestingly, the two cities are currently influenced by two big development projects that are realized by the cities’ most influential stakeholders: the SIEMENS-Campus and the NORTH WEST CAMBRIDGE Site Development . Both projects represent the development of a completely new part of the city that will impact the urban development over the next decades considerably (see maps for Cambridge and Erlangen). The NORTH WEST CAMBRIDGE Site is currently under construction. The first phase will be finalised in 2015. The Siemens Campus will start in 2016. Both concepts follow a mixed-used system, while NWC focusses on accommodation, the SIEMENS campus focusses on offices and research facilities.Both concepts aim to follow sustainable criteria and represent the state of the art within architecture. These two urban development projects tying millions of Euros/Pounds are not primarily developed, invested and organized through the city council. 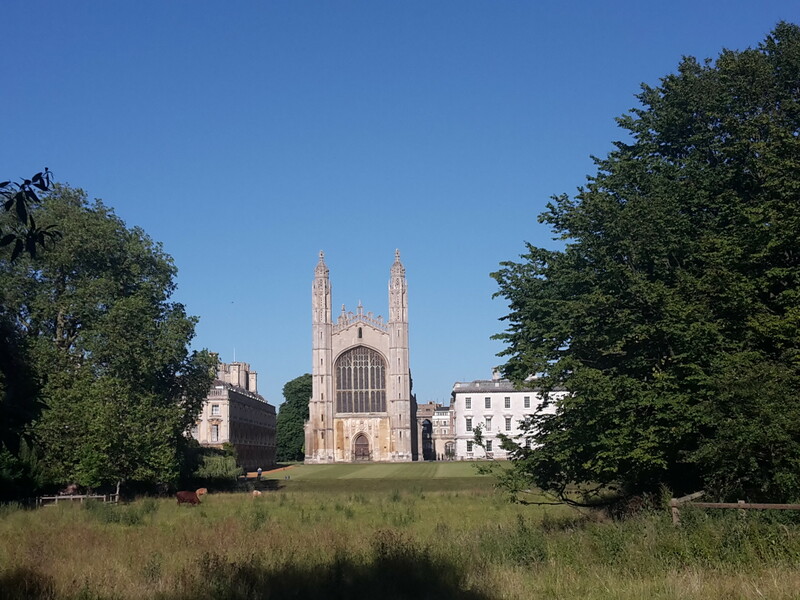 In the Cambridge case, the University itself acts as the developer, having full financial responsibility and planning competence for the project. The English concept to give planning rights to private investors is not an opportunity in Germany, but the tool of a “städtebaulicher Vertrag” offers the opportunity to regulate the cooperation between the private investor and the city council. The contract defines the financial agreement on development and follow-up costs while in return the city council prepare the building rights.Within the German case the city councils has more influence in the formal planning process. With these projects SIEMENS as well as the universities take over responsibility for the city development in order to contribute to a successful and modern working environment, satisfaction of employees as well as of the inhabitants.Interestingly, in both cases the big players become stakeholders within the urban development process while at the same time they depend on a well-functioning city. Nice idea. But Germany and UK are quite different levels. Germans set their own borders in the kind of thinking, especially the Bayern. Two regions with no connection!